The Rio Grande Club & Resort has a tennis court for members and their guests to enjoy a game or two. Whether your game is tennis or pickleball, members can pick up a game on the RGC courts any time. 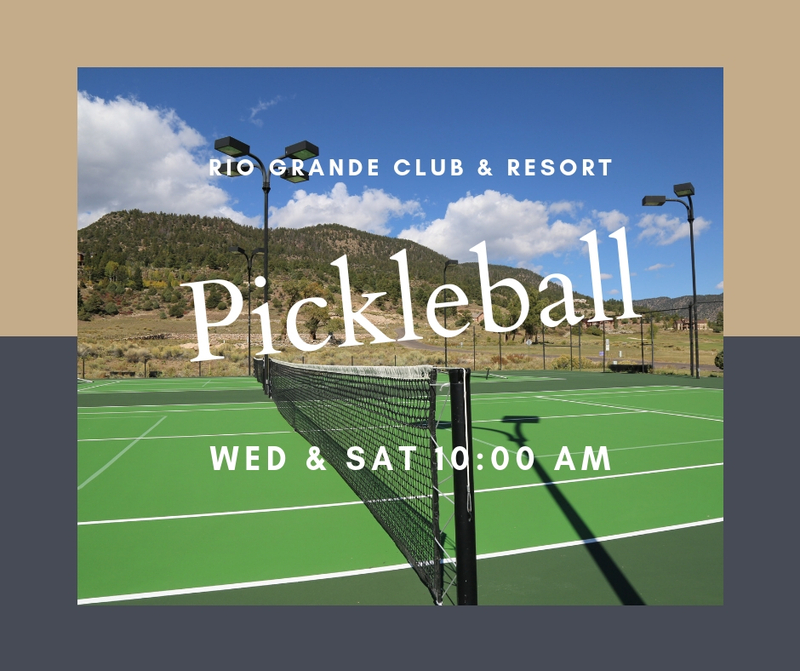 This season's pickleball group currently meets on Wednesdays and Saturdays at 10:00 am -- new and seasoned players welcome! New to pickleball? Rental equipment is available through the Golf Shop. Nighttime play is available with lights that operate on a two-hour timer. Pickleball is a paddle sport (similar to a racquet sport) that combines elements of badminton, tennis, and table tennis. Two or four players use solid paddles made of wood or composite materials to hit a perforated polymer ball, similar to a Wiffle Ball, over a net. The sport shares features of other racquet sports, the dimensions and layout of a badminton court, and a net and rules somewhat similar to tennis, with several modifications.